High quality credit card holder ID case hold up to 26 cards,100% leather, very slim, simple and straight forward.Safe and protected from electronic pickpocketing: safe and secure, blocking protection from all RFID scanners and readers. 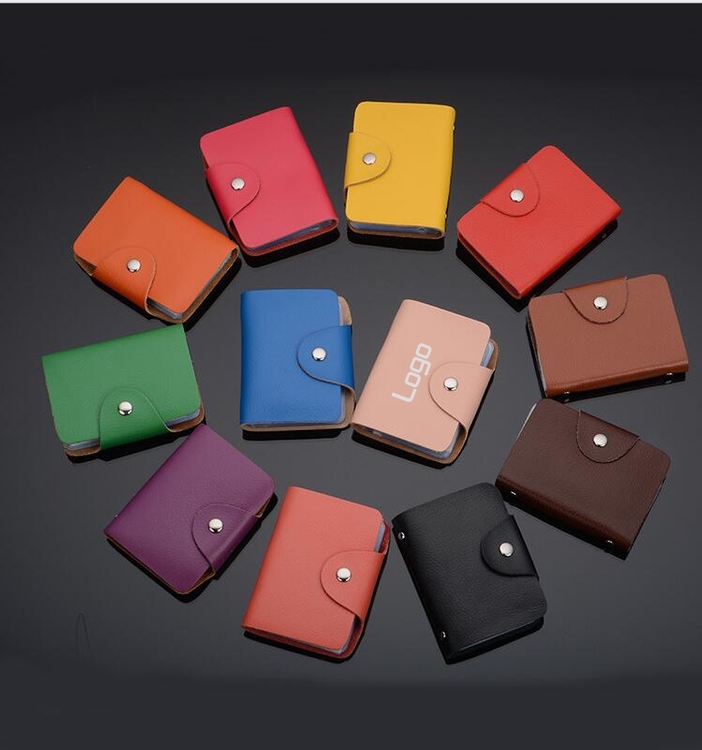 High-quality durable synthetic leather card holder is the perfect gift for anyone. 4 1/4"x 1 1/8"x 3/4"
Package: 1 pc/opp bag, 200 pcs/ctn, 33 lbs/ctn.